Discover your favorite characters and the circumstances on how they would inevitably meet in the crossroads of destiny. Two separate fates, two separate worlds... to be united for eternity! 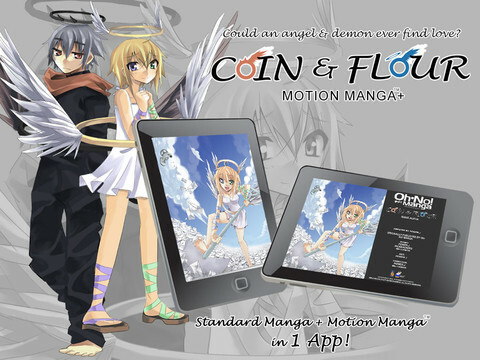 Could an angel and demon ever find love? See how Flour, one of the heaven's mail separators; and Coin, hell's delivery man, defy all odds. 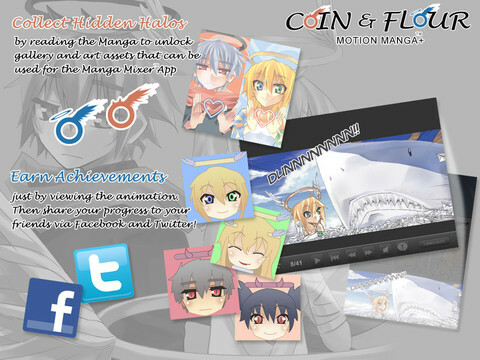 Please don't forget to visit and like our Facebook fan page at https://www.facebook.com/coinandflour. 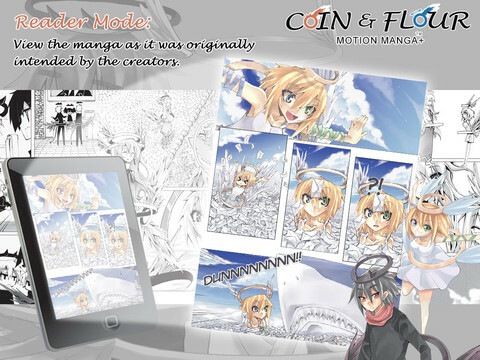 About Motion Mangaô: From static print to dynamic moving pictures, Piglion Studio brings you an engaging animated and interactive version of your favorite comic books and graphic novels for your mobile devices as a Motion Manga App. In your device's portrait mode, read the story as it was intended for print page by page. 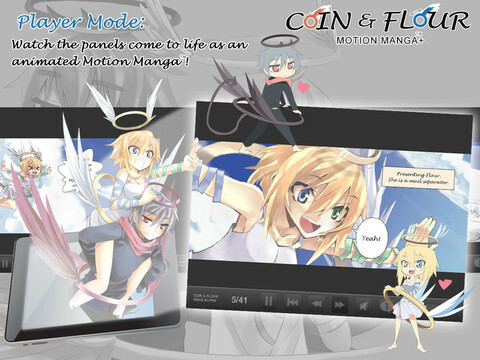 Rotate the device to landscape mode and see the story come to life as they are animated panel per panel.